HomeLearning and DevelopmentHow Does Montessori Prepare Children for School? Evidence shows us that a person’s life success, health and emotional wellbeing is deeply connected to their experiences and environment in early childhood. We know that if we get education right in the early years, we can expect to see our children thrive at school and in their adult lives. The quality of a child’s earliest environments, and the availability of developmentally appropriate experiences, are crucial determinants of how a child’s brain develops. Environments that are nurturing and supportive promote optimal early childhood development, and greatly improve children’s education, health and employment outcomes. So how does Montessori early education prepare children for school and later life? Montessori education is scientifically based on the key developmental stages that all children move through on their way to adulthood. 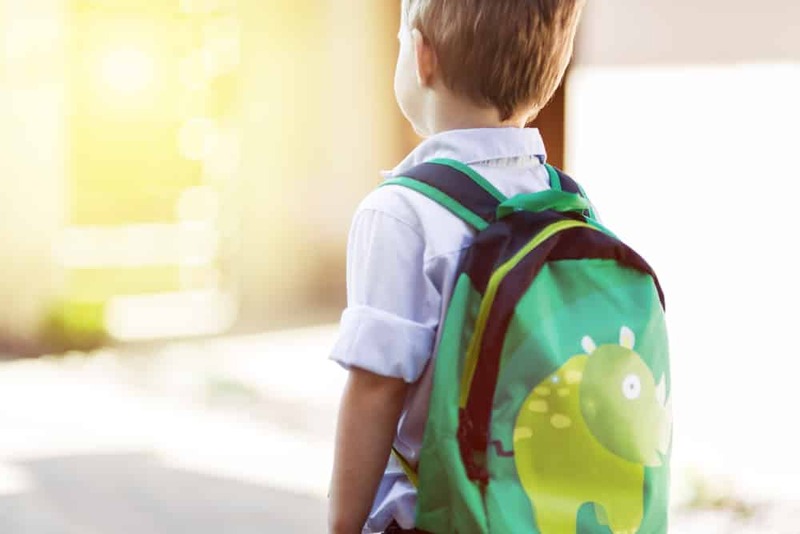 In Montessori, these key developmental stages are referred to as ‘sensitive periods,’ which are periods of time when children’s interests are focused on developing a particular skill or knowledge area. Montessori education facilitates these special periods of sensitivity by providing children with a prepared environment that is designed to optimise their learning. 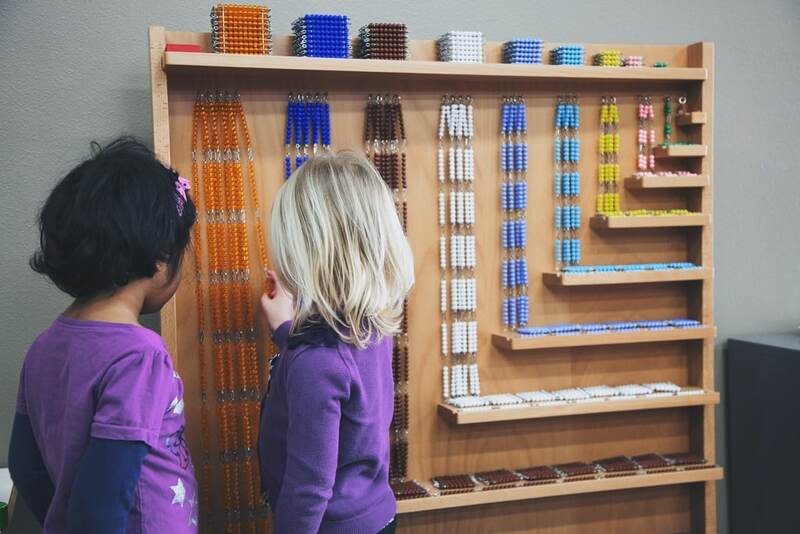 Characteristics of the prepared environment include: order, hands-on self-paced learning, collaborative social interactions, children of mixed ages, movement, guidance, freedom of choice, and a full selection of self-correcting Montessori materials available on low open shelves. The prepared environment is designed to stimulate children’s minds, encourage collaboration and independence, and provide them with the time and space to achieve the outcome of their ‘work’. In this way, Montessori inspires children to become independent, self-motivated learners with strong academic foundations. In Montessori, preparation for school begins at the age of two, as this is when children transition to the prepared preschool environment. Within this environment, children participate in the full three-hour work cycle, and take part in the Montessori day routine. This sequence of daily activities provides children with an understanding of order, time management, and how to behave within their environment at different times. It also provides children with important preparation for school skills, such as concentration, sitting quietly, lining up, collaborating with others, and the ability to follow instructions. 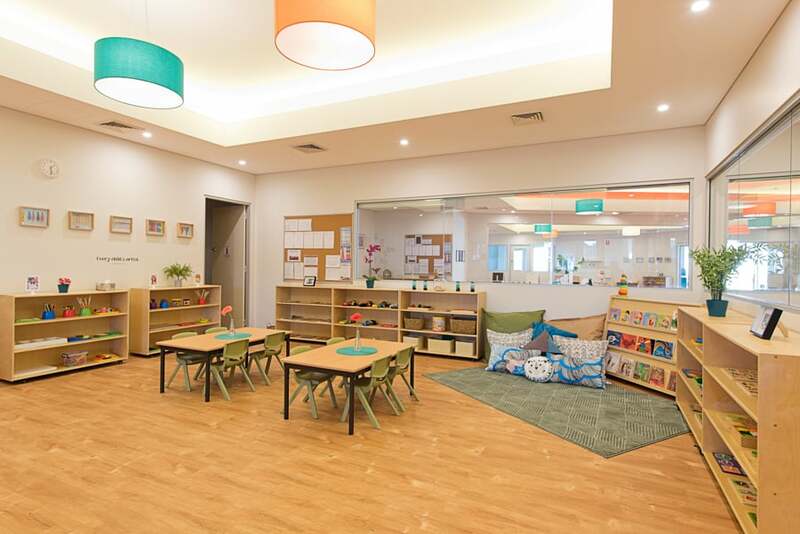 The five curriculum areas of the Montessori Early Years Program provide children with strong academic foundations that align with the key knowledge areas taught in early primary school. The Practical Life area teaches children care of self and care for the environment. Activities such as pouring, spooning and threading, teach children to adapt to their environment and develop their independence. Sensorial education teaches children how to express and classify their sensory experiences. By providing children with a system to process their environment, they learn to become keen observers of the world around them. The Montessori language curriculum is designed to teach children spoken language, written language, and reading. Through language based activities, children learn to develop their vocabulary, compose their own written works, and read the work of others. Mathematics is first introduced to the child through sensorial materials that prepare them for basic mathematical concepts such as counting and identifying shapes. The mathematics materials offer children a formal introduction to abstract mathematical functions such as multiplication, division and algebra. Cultural materials lead the child to experience geography, science, history, art and music through concrete materials and experiences. Through cultural activities, Montessori encourages children to develop an awareness and appreciation of diversity in their world. The Montessori approach to early education is child-centred and teacher-guided. The role of the teacher is to prepare the learning environment, and observe and guide their students in their learning. The focus is on children learning, not on teachers teaching. The Montessori method places strong emphasis on respect for the individual, others, and the environment. It goes beyond the classroom to link learning to the home and outside world. By providing children with an educational experience that goes beyond the classroom, Montessori allows children to develop socially, emotionally, spiritually, intellectually and physically. In this way, Montessori prepares children not only for school, but for life.